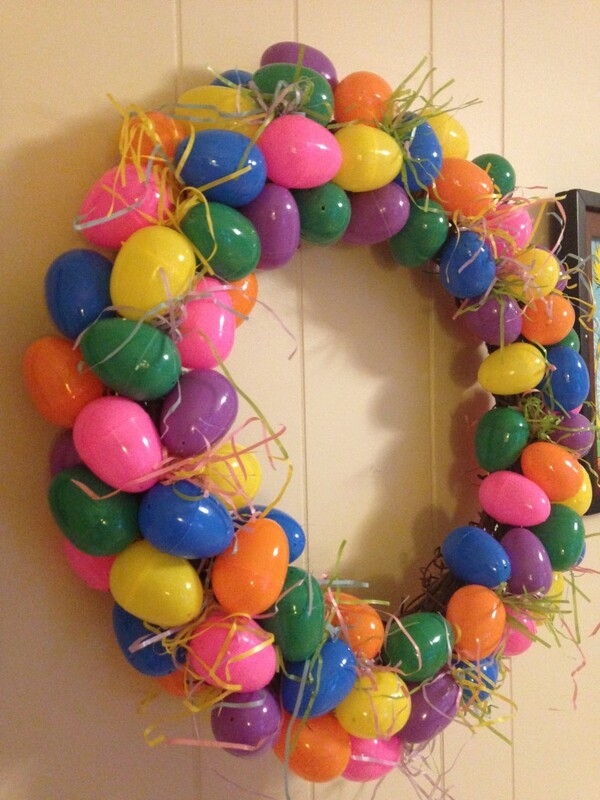 I have always wanted an Easter Egg Wreath. They’re full of whimsy, super-cute, and will add a great pop of color to your home during the Easter season. This is an EASY craft project that even those who consider themselves to be “craft-impaired” can do! You’re going to love your wreath! Start by snapping together your Easter eggs. Make sure you have a nice variety of colors. I used a mix of green, pink, purple, blue, orange, and yellow. Get your glue gun plugged in and heating up! 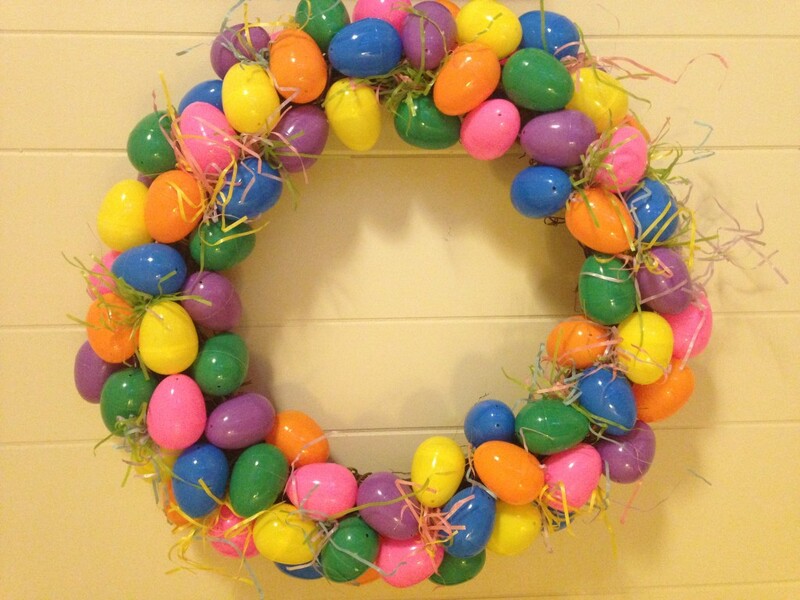 Start gluing eggs to your wreath form. I made sure to put my glue along the “seam” of the egg, helping to prevent the eggs from popping open once attached to the wreath. 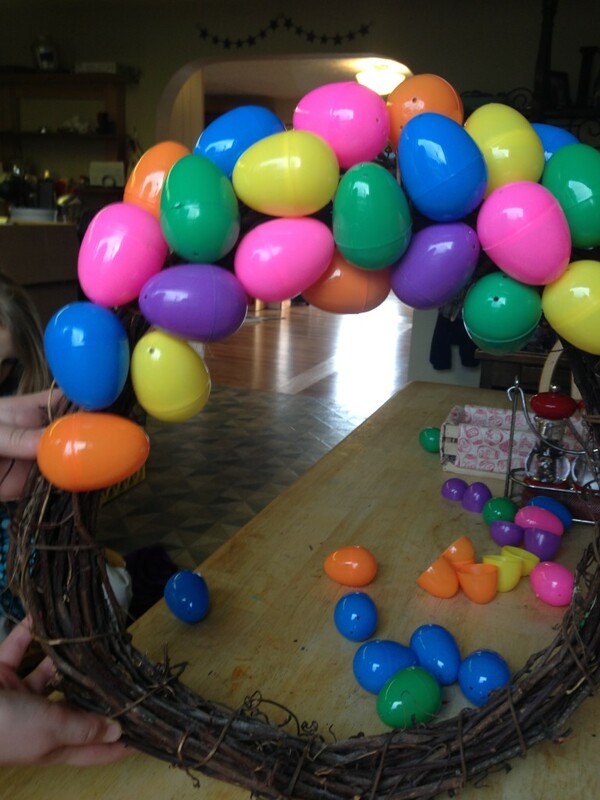 Start by gluing the eggs in one area, and work your way around the wreath. Glue your eggs to the front, top, and interior curve of your wreath, leaving the back free of eggs. 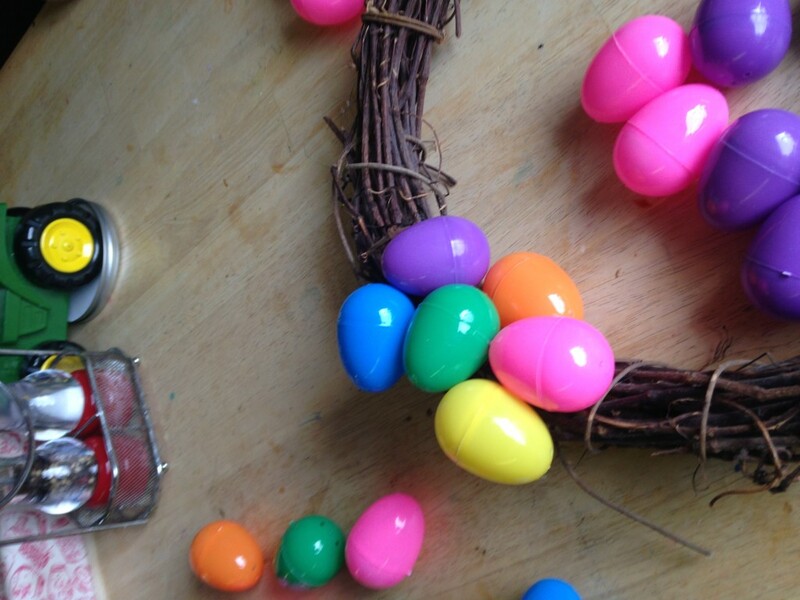 Continue to work your way around the wreath, working to evenly space colored eggs. You will start to notice “holes” in your wreath, where larger areas of your wreath form show through. You will end up filling in these spaces with Easter grass. To fill in the holes, gather up a small pinch of Easter grass, and secure with glue. You may want to experiment to see which method works best for you. I found myself alternating between applying the glue directly in the hole and shoving the bit of grass in the space and applying the glue directly to the grass and placing it in the desired hole. Just remember to be careful if using a high-temp glue gun, as you will likely get some glue on your fingers. Your finished wreath should look something like this! 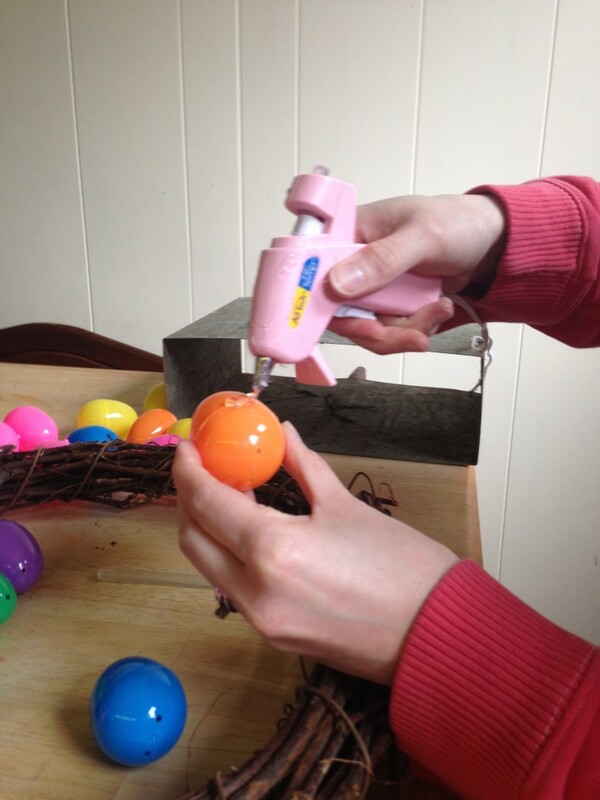 In less than an hour, I created a fun Easter decoration with a TON of kid-appeal. *I ordered a set of 144 Colorful Easter Eggs from Oriental Trading for just $8.48! That’s about $0.70 a dozen! Can’t beat that! *I just fell in LOVE with the White Chevron Burlap from Oriental Trading. This burlap ribbon is SO versatile and would make the perfect bow for your Easter wreath. Inspired to continue crafting? Check out the wide variety of Easter products Oriental Trading has to offer! *This post is sponsored by Oriental Trading. I received free product to facilitate my post. Opinions are my own.